Loading dock sensors and iDock Controls from Poweramp/DLM can send data to the cloud with iDock Connect, an online software of loading dock analytics. Users can create an account at iDockConnect.com, then login to view the activity and efficiency of their loading docks. 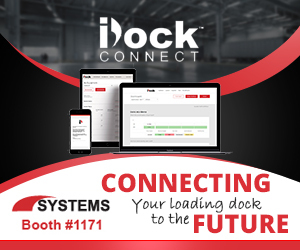 iDock Connect can also send text and/or email notifications of events at the loading dock.